Professor Croucher is Professor of Comparative Employment Relations and Director of Research, Middlesex University Business School. He joined Middlesex University in 2005, from his previous role as Senior Research Fellow at Cranfield School of Management, Cranfield University where he worked in the Human Resource Management Research Centre. He is Visiting Professor at Cranfield School of Management where he teaches on the MSc in International HRM. He is a member of the Senior Common Room, Kellogg College Oxford. He earned his PhD from the University of Warwick in 1977 and then worked for twenty years in trade union and adult education. From the mid-1990s onwards he worked for ten years with six Global Union Federations on a series of projects to re-structure trade unions throughout the Former Soviet Union. In 2011-12, he was Research Fellow at the University of Mauritius, a position awarded to one researcher annually by international competition. Professor Croucher has thirty five years of experience in teaching adult students, practitioners and doctoral candidates. He is a committed and enthusiastic teacher. He is the author of several manuals on trade union education, all of which are available in English and have been translated into Russian and several other European and central Asian languages. He has supervised many students to successful completion of their doctorates. International Human Resource Management; institutional theory; employee voice; minimum wages; age management. Croucher, Richard, Brookes, Michael, Wood, Geoffrey and Brewster, Chris (2010): Context, Strategy and Final Participation Human Relations 67 (5). Croucher, Richard and Morrison, Claudio (2012) Management, worker responses and an enterprise trade union in transition. Industrial Relations, A Journal of Economy and Society 51. Upchurch, Martin and Croucher, Richard and Flynn, Matthew (2012) Political congruence and trade union renewal. Work, Employment and Society, 26 (5). 2012-2013: International Labour Organization ($30,000). Seven months. Acquired funds and led team of Middlesex researchers to report on international literature on HR practices and positive firm-level outcomes in Small and medium-Sized Enterprises. 2010-11: Low Pay Commission (£20,000). Nine months. With Dr Marian Rizov, Middlesex University: Sectoral productivity effects of the National Minimum Wage. Report on LPC website. 2010-11: Low Pay Commission (£24, 643). Nine months. With Professor Geoff White, Greenwich University. Study of the impact of minimum wages internationally. Report on LPC website. 2008: Nuffield Foundation (£7, 471). Two years. Grant number: SGS/35447. Project on minimum wage fixing, compliance and enforcement in Britain. 2006: British Academy (£7,100). Research on British trade unions and workplace training. Two years. 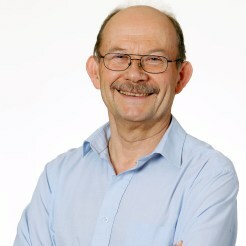 Collaborator: Prof. John McIlroy, University of Keele. 2006: Low Pay Commission (£21,000). Nine months. Follow-up research on enforcement of the National Minimum Wage. Collaborator: Prof. Geoff White, University of Greenwich. Report completed and referred to in the LPC's Annual Report for 2006. 2005: European Foundation for Working and Living Conditions (£10,000). Research on employee financial participation in Slovenia. One year. Report published by EFWLC. 2002-2004: Leverhulme Foundation (£20,000). Grant number: F/00/509/A. Two-year project on Bi-lateral trade union co-operation in Europe. German collaborators: Sozialforschungstelle, Univ.Dortmund. 2004: Low Pay Commission (£18,700). Nine months. Research on enforcement of the National minimum wage. Collaborator: Prof. Geoff White, University of Greenwich. Report published. 2004: Department of Trade and Industry (£8,000) Research on Trends in British organisations use of flexible labour. One year. Interim report submitted November 2004; final report December 2004. 2001-2002: Economic and Social Research Council (£42,000). Award number: R 000 223445. One year funding for project on the impact of Western management methods in the Ukraine. Collaborator: Dr. R.P. Dickenson. 2001: Department for International Development (£25,000). One year. Project evaluations. 1999: Anglo-German Foundation for the Study of Industrial Society (£83,000). Grant number: 1279. Two-year funding for a project on the impact of flexible working methods on systems of employee representation in Britain and Germany. German collaborators: Institut für Sozialwissenchaftliche Forschung, Univ. München. RA: Ingo Singe. Engagement with International Labor Organization on HR practices and SMEs globally. ILO publication in preparation. Engagement with Global Union Federations from mid-1990s on relations with international companies and union management. Resulted in major re-structuring of many trade unions in Russia and Former Soviet Union including Central Asia. Engagement with Low Pay Commission on fixing, publicising and enforcing the UK's National Minimum Wage via four major research projects. Changes implemented in a range of ways including clauses in Employment Act 2008 and increased funding to enforcing agency HMRC, leading to improvements in enforcement and publicity mechanisms. 2013 onwards: editor of special editions of Labor History (on transnationalism and Business History (on tripartism).